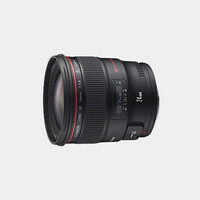 The Canon EF 14mm f/2.8L II USM is a bright lens that provides an ultra wide-angle view, and has the shortest focal length in the line-up of L series prime lenses. Its diagonal angle of view is an impressive 114° - anything larger would be a fisheye lens. 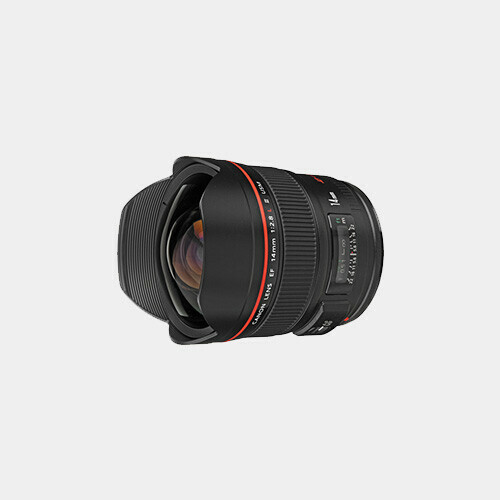 This lens features completely redesigned optics, including two high-precision Aspherical elements and two UD-glass elements. 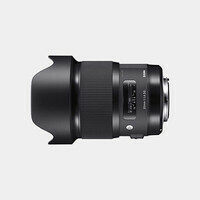 This results in better contrast and sharpness at the outer edges, and a reduction in chromatic aberrations that can sometimes be seen with high-resolution digital SLRs. 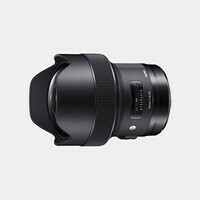 The 14mm f/2.8L II USM lens uses a rear focusing system, high-speed CPU, and a powerful ring-type USM with revised electronics for faster, more responsive AF. 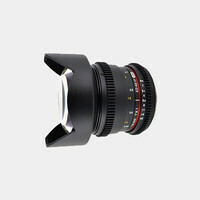 This wide aperture lens is the ideal choice for architectural, corporate, or other pro-level photography and video.